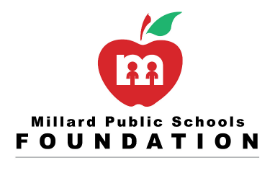 You have the ability to make a lasting gift of support to the Millard Public Schools Foundation (MPSF). An excellent way for you to support future generations of students is to leave us a bequest in your will or living trust. If you already have a will, you can always add a short document called a codicil. lowering your estate, capital gains and income taxes. - Most gifts cost you nothing now. Every gift makes a difference. To leave the majority of funds to your loved ones, name MPSF the beneficiary of a specific amount or percentage of your estate. To leave MPSF what’s left after loved ones are provided for, use a residuary bequest. To leave your estate to family and friends, unless you outlive one of your beneficiaries, use a contingent bequest. This is often used by husbands and wives who stipulate that if the other spouse is not living, the bequest specified for that spouse will go to MPSF. The Millard Public Schools Foundation is a 501(c)3 organization All donations are tax deductible to the full extent of the law and 100% go directly to the intended program, project or scholarship. No administrative fees are deducted from any donation. In order to make a bequest, you should speak with your attorney. Your attorney can help you include a bequest to MPSF in your estate plan. 5225 South 159th Avenue, Omaha, NE 68135.